5、The controller Can save up to 16 files ,copy the file into SD card in order. 6、The file in SD card must be named: 00_1.led, 01_1.led, 02_1.led……. connected to the CLK line. NOTE：1. 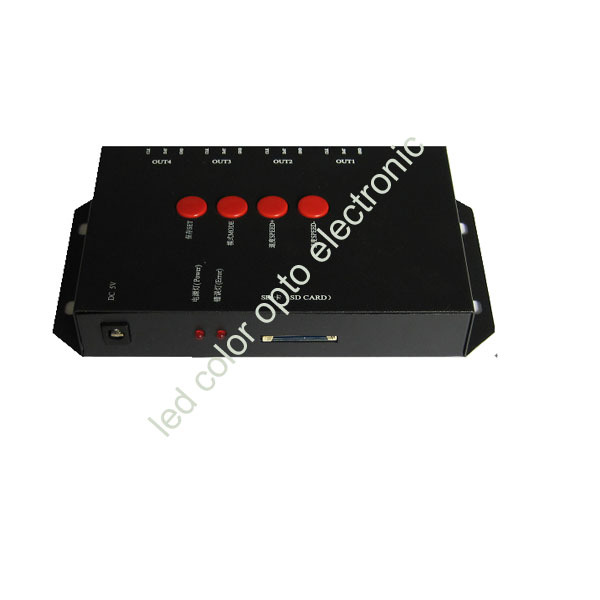 When T-4000 controller control less than 512 lamps the frame rate can reach 30fps. When T-1000 controls more than 512 lamps and less than 1024 lamps the frame rate will slow down automatically. button the file will in turn play. NOTE：For the TTL(SPI) signal, the controller signal ground must connect to the LED ground wire directly.